PotashCorp is hoping to attract 60 laid off miners from Sussex, New Brunswick to PotashCorp Rocanville. PotashCorp is closing a mine in New Brunswick, while completing an expansion of PotashCorp Rocanville, the lowest cost mine in the company’s system. The last part of the expansion, the completion of a second production shaft in place of the original service shaft at the original minesite, should be completed this fall. 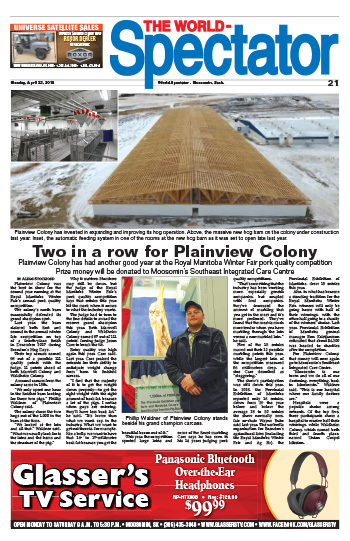 The company is still adding to its workforce at PotashCorp Rocanville. There should be between 720 and 750 employees at PotashCorp Rocanville when the expansion is complete. The 60 open positions at Rocanville are among 100 positions across Saskatchewan for which PotashCorp hopes to recruit miners laid off from the Picadilly mine in New Brunswick. “There’s a job fair in Sussex, New Brunswick on February 3, basically to let the New Brunswick employees know about the opportunities in Saskatchewan, primarily Rocanville,” said PotashCorp spokesman Randy Burton. He said every effort is being made to connect New Brunswick miners with positions in Saskatchewan. “People who are about to lose their jobs in New Brunswick can apply for work here,” he said. “Application forms have been picked up by people who are interested—and a lot are interested. “Whether we will be able to fill 100 jobs, I don’t know. That will have to play out through the application process and interviews. Step one is for people to fill out an application. Step two is this job fair, which is like an orientation session for people who are interested. What they learn there may or may not have any impact on what their decisions are. PotashCorp has several human resources professionals going to New Brunswick. “We had a team of HR folks down there already dealing with severance issues,” said Burton. “There will be three more people going down there from Rocanville to help with the job fair, to talk about what positions there might be, to provide an overview of the mine. “They will also be talking about community information, such as what Rocanville is like, what are the services available. We have reached out to the towns, including Rocanville and they have provided some information. They have also contacted some of the other surrounding communities, such as Esterhazy, Moosomin, and St. Lazare. 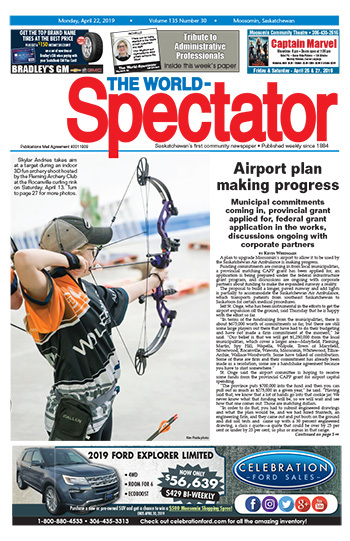 In addition to putting together a powerpoint presentation on the area, the Rocanville delegation will be taking with them copies of the World-Spectator’s winter fun guide and summer activities guide to give New Brunswick miners an idea of the local lifestyle and recreation options in the area. Burton says there has been a lot of interest from among New Brunswick miners. “There has been significant interest in the option of coming here, as I know there have been a lot of applications taken out,” he said. PotashCorp will be offering relocation assistance that should cover the cost of moving to Saskatchewan. Burton says the first miners may be making the move to Saskatchewan in a couple of months. Stan Langley is a member of Rocanville town council, and active in economic development efforts in the town. He sees the recruitment of New Brunswick miners as an opportunity for the area. “It’s definitely an opportunity for all the towns around here,” he said.